There’s something humbling about Mogollon Rim in Payson, AZ that keeps me from going back for more. I was there this weekend and the last. 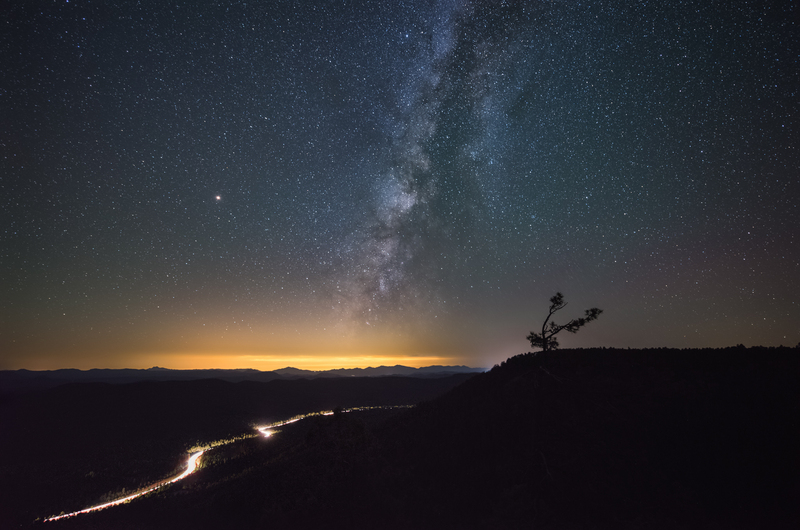 The other night, I was driving along the edge of the rim until last I came across a wide clearing. I strolled through the trees and made it to the top of the cliff overlooking pine forest. Milky way streaked across the sky and hundreds of purposeful travelers wandered through the streets of the village. The city lights of Phoenix blazed in orange hues. The trees whispered and a lonely bird somewhere sang to the tune.